A new study lead by Argentinean researchers and published in the Journal of Environmental Science and Health titled, “Influence of herbicide glyphosate on growth and aflatoxin B1 production by Aspergillus section Flavi strains isolated from soil on in vitro assay,” adds to an increasing body of research indicating that glyphosate (aka Roundup), the primary herbicide used in GM agriculture, is seriously undermining the quality of our global food supply, and may help to explain recent observations that GM corn heavy markets, such as the U.S., have a significant aflatoxin problem. Researchers from the Department of Microbiology and Immunology, National University of Rio Cuarto, Cordoba, Argentina, set out to evaluate the effect of glyphosate (Roundup) on the growth of aﬂatoxin B1 production by strains of Aspergillus under different water availabilities on maize based medium. Aflatoxin B1, one of at least 14 different types, is a naturally occurring mycotoxin that is produced by Aspergillus flavus and Aspergillus parasiticus, two species of fungi that commonly effect cereal grains. Known to be one of the most carcinogenic substances in existence, aflatoxin B1 is classified by the International Agency for Research on Cancer (IARC) as “Group 1, carinogenic to humans,” with an oral, rat LD50 (the dose that acutely kills 50% of a test group) of 5mg/kg – compare that to a 6.4 mg/kg LD50 for potassium cyanide, which is used in lethal injection. Aspergillus section Flavi and Nigri Argentina is the world’s second biggest exporter of maize (Zea mays L.), and was responsible roughly for 15 percent of the world’s maize exports in the last three years. During the harvest season 2011/2012 the maize production is expected to be of 20 million tons. These cereal grains are colonize by several fungi communities, including mycotoxigenic species. Also, Argentina’s GM corn share in the total GM corn acreage of their country is on par with the U.S. [see figured 2 below], indicating that their environmental and toxicological situation in regard to the food quality fallout from GM farming is likely very similar. 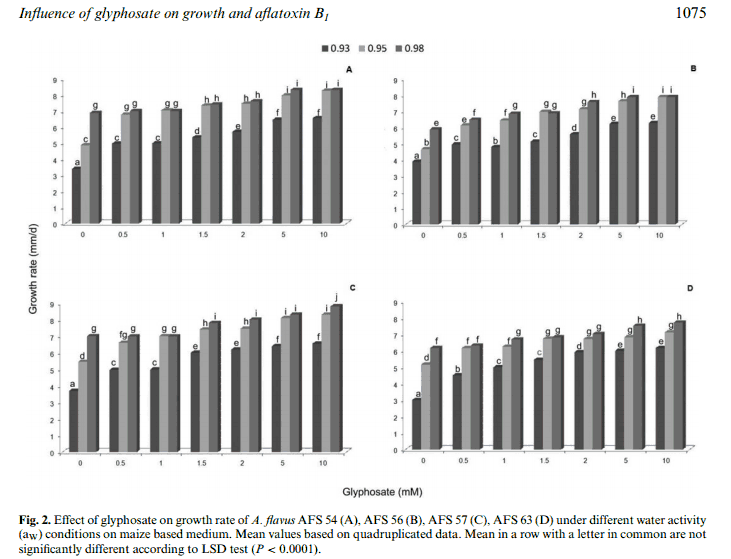 In brief, the researchers discovered that all six different concentrations of glyphosate tested decreased the lag phase of fungi growth proportionately to the increase in glyphosate concentrations. In other words, the glyphosate enhanced the growth of the aflatoxin-producing Apergillus strains, and at concentrations lower than the range generally detected in Argentinean soils destined to crop production, specifically an agricultural area belonging to the province of Buenos Aires. This study has shown that the eight Aspergillus ﬂavus and A. parasiticus strains evaluated are able to grow effectively and produce AFs [aflatoxins] in natural medium with high nutrient status over a range of glyphosate concentrations under different aW [water activity] conditions. The discovery that glyphosate enhances fungal growth contradicts several previous studies, including a 2007 study performed by US Department of Agriculture researchers, which did not find that glyphosate increased Aspergillus flavus growth. The authors noted that their findings are consistent with research on similar fungal strains, such as Fusarium, which possesses high tolerance to applied doses of glyphosate, and Rust fungi and Blight fungi,  which exhibit enhanced growth on glyphosate-amended media. A major implication of the study is that there exists a synergism between glyphosate (Roundup) and soil-borne pathogens, which would lead to increased susceptibility to and severity of disease in glyphosate-treated plants. Not only would Roundup-ready corn contain residues of highly toxic glyphosate, its ‘inactive’ yet still highly toxic ingredients (surfactants), and metabolites (AMPA), but it would also be more likely to contain aflatoxins – taken together, represent a veritable nightmare of synergistic toxicities, whose sum harms no regulatory agency yet adequately accounts for. 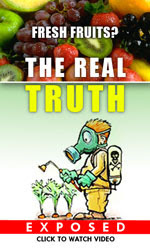 When one takes into account recent research that Roundup herbicide contributes to the suppression of beneficial lactic-acid producing gut bacteria, while enhancing some of the most deadly known to man, e.g. Clostridium botulinum (1 kilogram (2.2 lbs) would be enough to kill the entire human population), the days of casually classifying the ever-expanding numbers of anti- or non-GMO supporters and activists as alarmists, or GM food itself as “substantially equivalent” to non-GM food, are over. 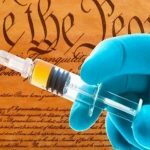 Those who continue to toe Biotech’s party-line, under the much maligned banner of checkbook “Science,” and in face of clear evidence against its safety, will increasingly be perceived as morally, financially and even legally liable for the damages being caused to exposed populations. Peruzzo, P.; Porta, A.; Ronco, A. Levels of glyphosate in surface waters, sediments and soils associated with direct sowing soybean cultivation in north pampasic region of Argentina. Environ. Pollut. 2008, 156, 61–66. K N Reddy, H K Abbas, R M Zablotowicz, C A Abel, C H Koger. Mycotoxin occurrence and Aspergillus flavus soil propagules in a corn and cotton glyphosate-resistant corn. Larson, R.L. ; Hill, A.L. ; Fenwick, A.; Kniss, A.R. ; Hanson, L.E. ; Miller, S.D. Inﬂuence of glyphosate on Rhizoctonia and Fusarium root rot in sugar beet. Pest. Manag. Sci 2006, 62, 1182–1192. Wardle, D.A. ; Parkinson, D. Inﬂuence of the herbicide glyphosate on soil microbial community structure. Plant Soil 1990, 122, 29–37. Hanson, K.G. ; Fernandez, M.R. Glyphosate herbicides affect plant pathogenic fungi. Can. J. Plant. Pathol 2003, 25, 120. Krzysko-Łupicka, T.; Orlik, A. The use of glyphosate as the sole source of phosphorus or carbon for the selection of soil-borne fungal strains capable to degrade this herbicide. Chemosphere 1997, 34, 2601–2605. Krzysko-Łupicka, T.; Strof, W.; Kubs, K.; Skorupa, M.; Wieczorek, P.; Lejczak, B.; Kafarski, P. The ability of soil-borne fungi to degrade organophosphonate carbon-to-phosphorus bonds. Appl. Microbiol. Biotechnol 1997, 48, 549–552. Krzysko-Lupicka, T.; Sudol, T. Interactions between glyphosate and autochthonous soil fungi surviving in aqueous solution of glyphosate. Chemosphere 2008, 71, 1386–1391. Rahe, J.E. ; Levesque, C.A. ; Johal, G.S. Synergistic role of soil fungi in the herbicidal effect of glyphosate. In Microbes and microbial products as herbicides, : Hoagland, R.E., Ed. ; ACS Symposium Series No. 439; Oxford University Press: New York, 1990; 260–275.